It’s always so satisfying when something actually is as brilliant as it looks. 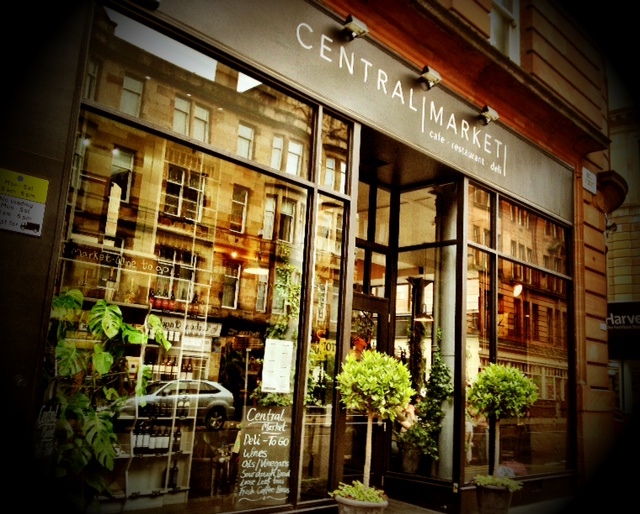 Located in the heart of the Merchant City, Central Market certainly lives up to its enticing chic appearance. But it’s not just a pretty space – the food is wonderfully delicious. Set over two levels, this intimate space is perfect for surreptitiously people-watching or catching up with friends. And that’s exactly what I do. Somewhere between attentive servers, fluid conversation and crisp Prosecco, decisions are made. 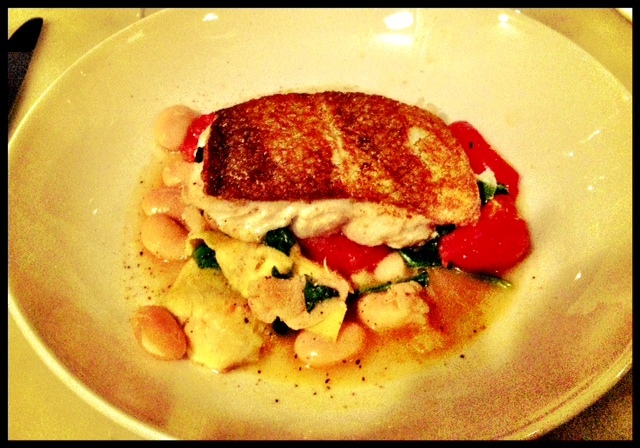 And what fabulous choices – my pan-fried cod with butter beans and artichoke is melt-in-your-mouth heavenly. The ricotta and herb dumplings and perfectly cooked steak also get rave reviews from my dinner companions. Everything is bursting with flavour – a reflection of the fresh seasonal ingredients. 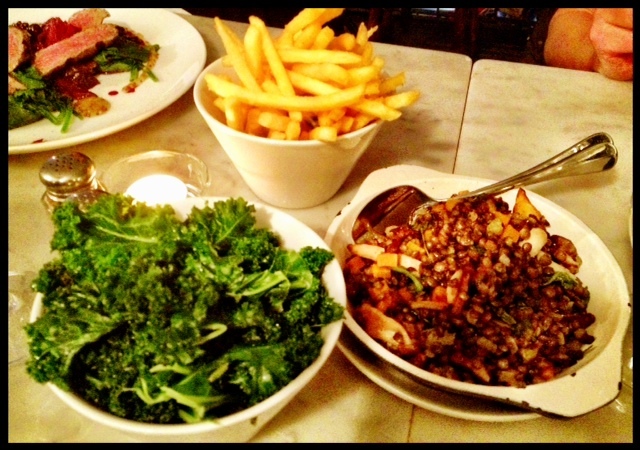 A small thing – but a nice feature, is the vast selection of tasty sides – from the more traditional skinny fries to the modern kale and exquisite combination of puy lentil and wild mushrooms. Ordering a few and sharing with the table is a must. Do save room for dessert because it’s wrong to miss it. My chocolate and beetroot brownie is sweet perfection. But if you prefer savoury, the selection of George Mewes cheese, chutney and oatcakes is the perfect way to finish your meal. But delicious food and a beautiful setting is nothing without great service. Our waitress is not only helpful, making excellent recommendations – but charming in all the right ways without being intrusive or phony. Central’s ever-evolving seasonal menu will definitely draw me back. Next up, Sunday brunch. And if it’s as pleasing as their dinner, I’m in for a true treat.